Who should take the Padi Assistant Instructor Course? Successfully completing just the Padi AI course results in a PADI Assistant Instructor qualification. When an AI is ready to progress to the next level, attending an OWSI program allows entry into an Padi IE to earn a full PADI Instructor rating. Dive professionals who hold an instructor rating with another diver training organization may be eligible to enroll directly in the OWSI program. This recognizes prior instructor training and provides a path to become a PADI Instructor. All Padi IOC (Instructor Orientation Course) or a padi Crossover Course, the instructor must attend a Padi IE before they are fully qualified Padi Instructors. You also need to be an Emergency First Response Instructor, but you can earn this rating during or after your instructor training. What will you learn During the Padi Assistant Instructor Course? Padi Instructor Examination (IE) is a two-day evaluative program that tests an instructor candidate’s teaching ability, dive theory knowledge, skill level, understanding of the PADI System, and attitude and professionalism. PADI IEs are standardized and conducted by specially trained PADI Instructor Examiners. The Padi IE location, testing environment and examination sessions are organized to be as objective as possible to fairly and consistently evaluate a candidate’s abilities. Only those who meet the IE performance requirements earn the respected PADI Instructor certification. There is a fee for attending an Padi IE. 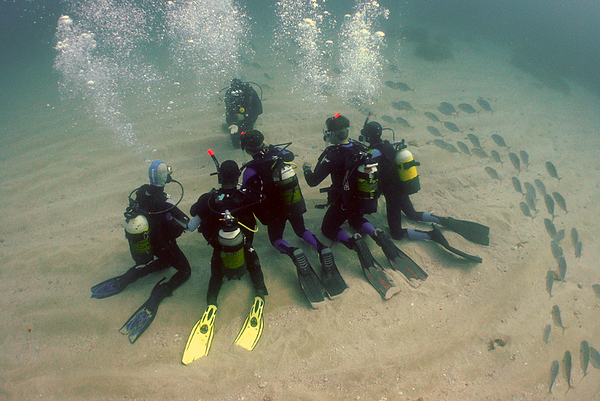 You can also join a FULL Padi IDC and take both part together giving you a better opportunity to get a dive job. Have a look at what PADI Pros have to say about living the dream. Register for eLearning Padi IDC Online and start learning right away. Take a Medical Statement and Questionnaire. A doctor will need to sign it also.